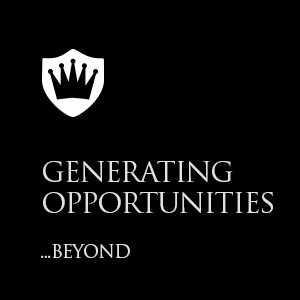 With the experience and contacts of Royal Shield (Mauritius) Ltd,RSML, it is working on generating business mainly from Mauritius & beyond. RSML by virtue of its associate status with Royal Shield Ltd, Dubai has access to Lloyds Middle east and the regional reinsurance markets, particularly in the Middle East. RSML believes that an increasing awareness of the importance of insurance, particularly in the Mauritius, in conjunction with an increase in foreign direct investment in these regions, will challenge the capacity of the local insurers, generating opportunities for forward thinking insurance brokers such as RSML. Whether your organization operates around the globe or locally, we are your connection to the international insurance world. Our clients expect nothing less from us, and we strive to deliver the highest levels of customer service and product excellence. That’s one reason why we discuss the “Circle of Operational Excellence” with our clients – ensuring they are aware of their coverage options for commercial insurance, personal insurance, life, disability and group benefits. From our staff training to our technology investments, we ensure our systems and people deliver a top-quality solution for clients. As an example, much of our operations are paperless, which helps to ensure client files and information are available on a confidential basis to any licensed team member. That means any of our team members can help you when you call, even if your regular contact is out of the office. RSMLis recognized in the industry and among clients for its strong experience, responsive client service, excellent product knowledge, pro-active risk management and loss control, and its unique Claims Advocacy processes. Taken together, these elements help us deliver on the core value of integrity. From the start, our motto is: We are Loyal !, You are Royals! We value the relationships we have built with our clients and insurance companies. Underlying these strong bonds is our commitment to professionalism. As proof, we only have to look at the many client referrals we receive – likely, the best compliment for any business.